At Florida E.N.T & Allergy, we provide Tampa allergy testing and treatment services at all of our locations. Allergy treatments are usually prescribed in the form of over-the-counter or prescription antihistamines. Antihistamines prevent the release of histamine and help to reduce symptoms. Decongestants and nasal sprays are also sometimes prescribed to clear nasal passages and improve breathing. Sometimes, allergy shots are recommended to gradually create a tolerance in the patient to the allergen. This is known as immunotherapy. By far, the most effective treatment for allergies of the ear, nose and throat is to avoid the offending allergens, but that is not always possible. Limiting outdoor activities during certain seasons, avoiding contact with particular animals, wearing sunglasses and frequently washing the hands may reduce the severity of symptoms. For patients who have allergies to indoor allergens, such as dust and mold, it may be helpful to keep the indoor environment clean and to avoid the accumulation of moisture. Not using carpeting, in which mold can easily grow, may also be helpful. There are two forms of allergy treatment: drugs and immunotherapy. Most commonly, people take over-the-counter or prescribed allergy medicines like antihistamines (cetirizine, loratadine) nasal steroid sprays (fluticasone), or decongestants (sudafed). You may take several different types of allergy medicines at one time to achieve better control of symptoms. As both Otolaryngologists and Allergists, we often prescribe allergy medicines, but for many people, medicines only provide limited benefit and some cannot tolerate the side effects such as high blood pressure or fatigue. For others, their allergies directly contribute to severe and chronic illnesses such as sinus infections, bronchitis, asthma flare ups, and pneumonias, leading to multiple rounds of antibiotics, missed work days, and hospitalizations. 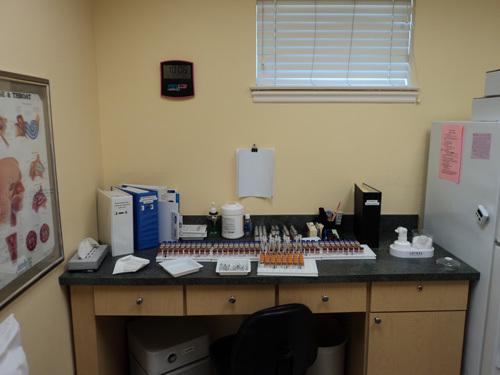 Patients with severe allergies should come to one of our offices for allergy evaluation and testing. Allergy testing will identify the specific allergies causing your symptoms and enable us to start allergy immunotherapy. Immunotherapy is different from medications in that medications do not eliminate allergies permanently, but only give you temporary relief as long as you continue to take them. Immunotherapy, in contrast, will provide you with significantly better control of symptoms and if continued for several years, may lead to permanent loss of allergies. You will eventually be able to quit allergy treatment and have no return of allergy symptoms. There are two forms of immunotherapy: allergy drops and allergy shots. In both forms of immunotherapy, introducing a gradually increasing dose of things that you are allergic to, leads to the down regulation of your allergic reactions, leading to decrease in symptoms and eventually complete desensitization or loss of allergies. Allergy Drops and Allergy Shots are the most effective way to treat allergies. 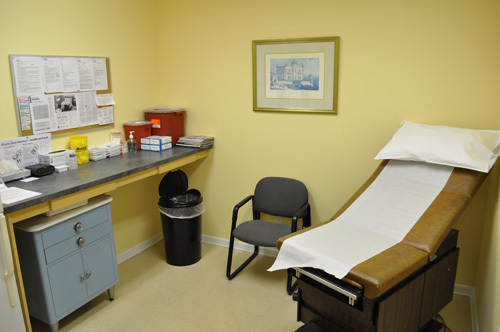 At Florida ENT & Allergy, we have a strong commitment to providing you with outstanding allergy treatment and care. Learn more about nasal and sinus disease treatments. Allergy Drops have become popular in the USA in the past decade. It is used throughout the world safely. It is also a highly effective way to treat environmental allergies but without needles. The drops are placed under the tongue daily. The main advantage of the allergy drops is that it is much safer than shots, therefore, patients may escalate their allergy drops at home. The main disadvantage of allergy drops is that insurances do not cover allergy drops at this time so it must be purchased by patients directly. For patients with high deductibles or no insurance, the allergy drops are much less expensive. Allergy Drops are ideal for children, people fearful of needles, medically unstable patients, or those too busy to come to doctor’s office for weekly allergy shots. Allergy Shots are very effective in treating nasal congestion, itchy eyes, asthma, eczema, post nasal drainage, recurring sinusitis (learn more about our sinusitis treatments), and bronchits/pneumonia. It is given once a week in the office and each week the dose is escalated. It is also very safe but there is a very small risk of anaphylaxis so patients must have an epinephrine autoinjector and wait in the office for 30 minutes after each shot. Once the patient reaches the maximum dose, or the maintenance dose, most patients choose to self-administer allergy shots at home. Insurances cover allergy shots and, therefore, it is more affordable than allergy drops for most patients with insurance. Both allergy drops and allergy shots are effective in controlling allergy symptoms. Choice between the two is often based on time, cost, and preference. Food allergies are often under appreciated by most physicians. We have discovered over many years of practice, that food allergies are more common that previously reported and very difficult to identify because it can present in a myriad of ways. Food allergies can affect any organ in the body: nose (congestion, sinus infections, post nasal drip), ear (dizziness, ear infections, Meniere’s), skin (eczema, hives, itching), gut (reflux disease, IBS), lung (asthma), brain (fogginess fatigue), and throat (coughing, throat clearing, hoarseness). The first step is to identify the food allergy by skin testing and by food challenges. The second step is to learn how to manage your food allergies. Contact us today for more information on our Tampa allergy testing and treatment services.